Here we are once again, right in the middle of PCS (permanent change of station) season. 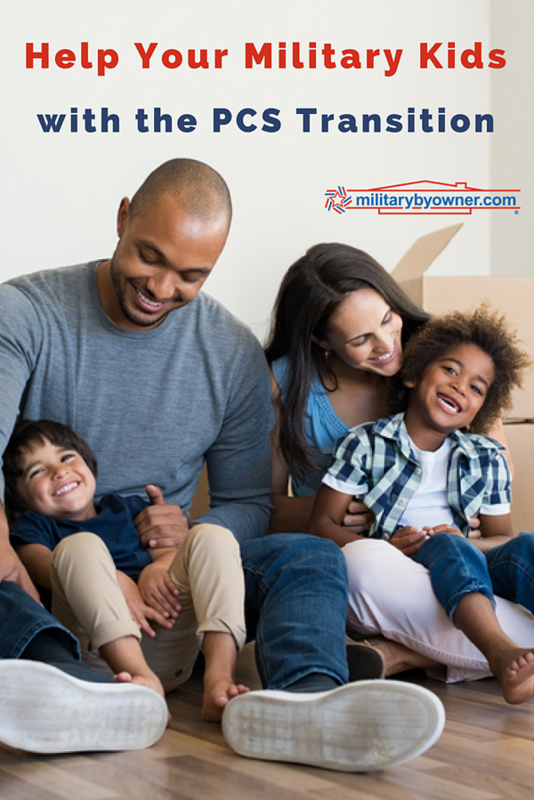 Whether you are excited to move on to the next adventure or are finding it hard to imagine living anywhere else, military moves are never easy. When thinking of an upcoming move, the logistics of scheduling, packing, finding a place to live, and ultimately figuring out how we will get from point A to point B in one piece can fill every waking moment. We often dismiss the impact of starting over at a new duty station because we have so much to accomplish, often in a very short period of time. However, for our kids that’s not the case; in fact, it’s completely different. When orders come down, our dependent’s main concern becomes that of wondering how their lives are going to change. They stress and worry about going to a new school, making new friends, and fitting in. Whether your children are toddlers or teenagers, logistics are often the farthest thing from their mind. While they often know or expect that they will be moving “soon,” the impending move brings with it feelings of all sorts. 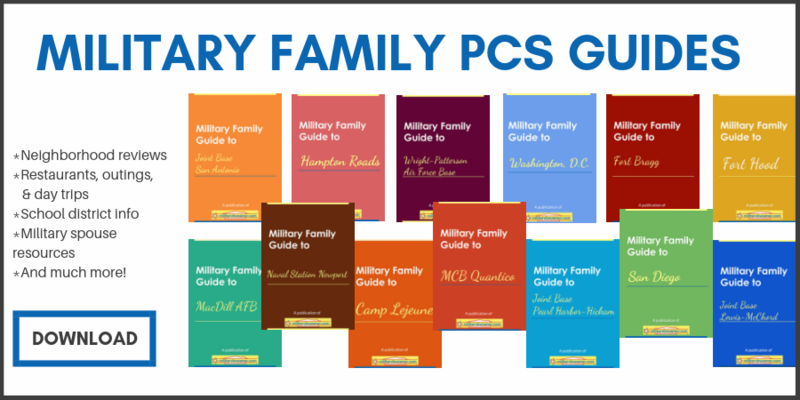 From excitement and stress to relief and even loss, the reality of a PCS can have you wondering how to parent through it all. With a little preparation and a lot of coffee, we can help our military kids not only get through but thrive throughout the entire process. Remember that your children are watching how YOU react. The more anxious and distraught you are, the more impact it will have on their ability to process all that is going on in a positive way. Carve out enough time for your children to say goodbye to the people and places that were such a big part of their lives. Encourage your kids to talk about ways they will stay in touch with the friends they have connected with. Don’t forget to make sure they have exchanged contact information. Reassure your kids and allow them to become part of the entire moving process by having them help with the sorting, packing, and planning. Have age appropriate conversations sharing details and how you are feeling. Identify activities that your child loves. Research and sign them up for programs and activities before you leave so when you arrive at your new duty station, they have a place to connect with other kids who enjoy similar activities as soon as possible. Routines are so important for younger children, especially when so many changes are going on. Our kids need to know that while much is different, the important things are still the same. Routines help with that. From naps and eating to bedtime routines and rules, keeping a predictable schedule will decrease everyone’s stress levels. If your kids are having a tough time, reassure your child that things will get better. Share a similar situation from your families past experiences to help them realize that they have the ability and experience to cope with all that’s going on. It’s important to note that a PCS move is often easier on our younger children than it is when our kids are teens or even young adults. The stakes become higher and their need for connection and consistency is so important at this time in their lives. It’s important to support them in finding healthy coping strategies as they transition through the changes that a military move brings. Here are some quick tips. Open up lines of communication. Create an environment that is non-judgmental and encourages your teen to come to you as challenges come up. Don’t be afraid to ask the hard questions. It’s important to be direct and specific when talking to teens. Listen. As parents we are good at asking questions, but the thing that our teens/young adults need most is for us to listen. Be aware of warning signs and at-risk behaviors that could indicate your child is in need of additional support. Err on the side of caution and bring in professional help at the earliest sign of trouble. Tap into support and resources that are specific to teenagers. Both DASIUM.net and MightyParenting.com have more information and resources for raising teens and parenting young adults in the 21st century.